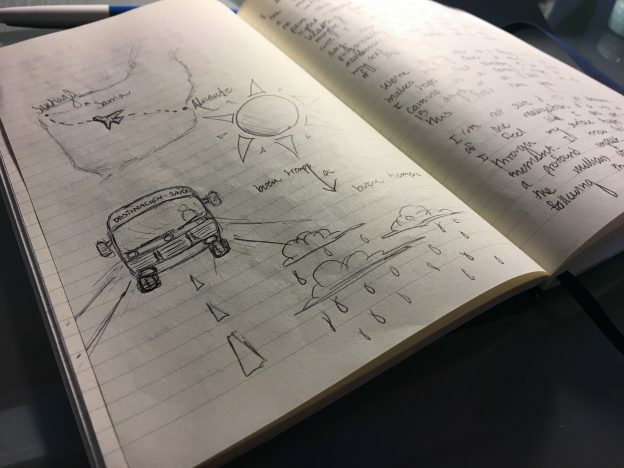 Over the course of the journey to Santiago, I kept a journal of my daily activities, thoughts, feelings, challenges, and interactions with others along the way. 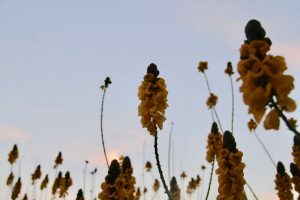 Below are snippets of journal entries from each day – every experience on the Camino is distinct and different, but I hope these snippets can paint a little image of mine. I woke up before my alarm this morning, excited and nervous to start the first leg of the journey. My host mama’s family has been in town visiting for Semana Santa, and I could hear her little grandchildren in the kitchen eating breakfast: “‘buela, ‘buela!” It’s strange to think I won’t be home for a whole week. I had all of my materials laid out two days ago, but I just packed them into my little backpack today. The heaviest thing in my backpack is my camera, and I wonder if I’ll even use it – the forecast reads rain all week. I’ve been pretty sick for the past three weeks but am feeling better now. I tell myself the fresh air and humidity will do me good, but we’ll see! I wonder how I’ll feel, hour-to-hour and day-to-day. 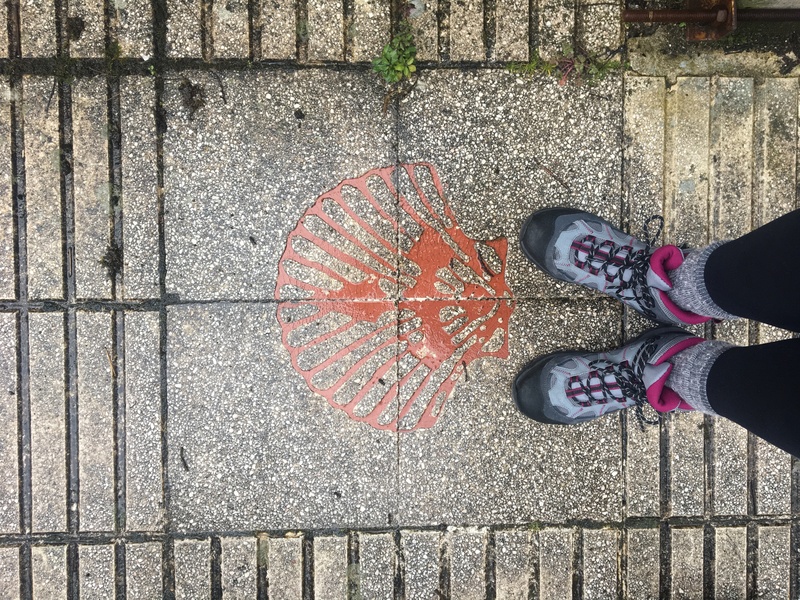 The Camino is so ,much more than academic for me, and I’m hoping to allow myself explore all the aspects – emotional, spiritual, physical – along the way. We landed in a world of green at the Santiago airport. Walking off the plane, we were immediately hit with the rain and cold, quite a change from the sunny and warm Alicante we had left behind. From Santiago we took a bus to our starting point, the town of Sarria. Our group of nine cracked jokes about walking five days when we could simply hop on a bus for two hours. But, cliche as it sounds, the walk is perhaps just as important as, if not more important than, the destination. I looked out the window as we passed swaths of evergreen trees, lichen, moss, pasture, and eroded stone walls, wondering if I could see our path from the road. To obtain the compostela after arriving in Santiago, I had to verify that I walked over 100km of the Camino. To do this, I collected at least two stamps per day in the albergues, bars, and churches that I passed through in every town. 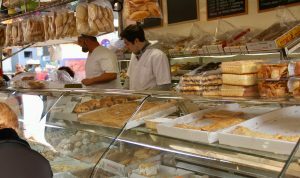 Arriving in Sarria was my first experience of a town in northwestern Spain. The weather and plants reminded me of my home in Washington – ferns dripping with dew, cherry trees just about to bud, buildings covered in soft damp moss, trunks of trees enrobed in ivy. After checking into our albergue (a hostel of sorts for people walking the Camino), our professor and guide, Alfonso, showed us around two Catholic churches in town, one from the 13th century. Alfonso has been walking the Camino at least once a year since he was 18, and is an absolute wealth of knowledge on the history and current practice of the Camino de Santiago, as well as it’s surrounding art, architecture, history, and gastronomy. 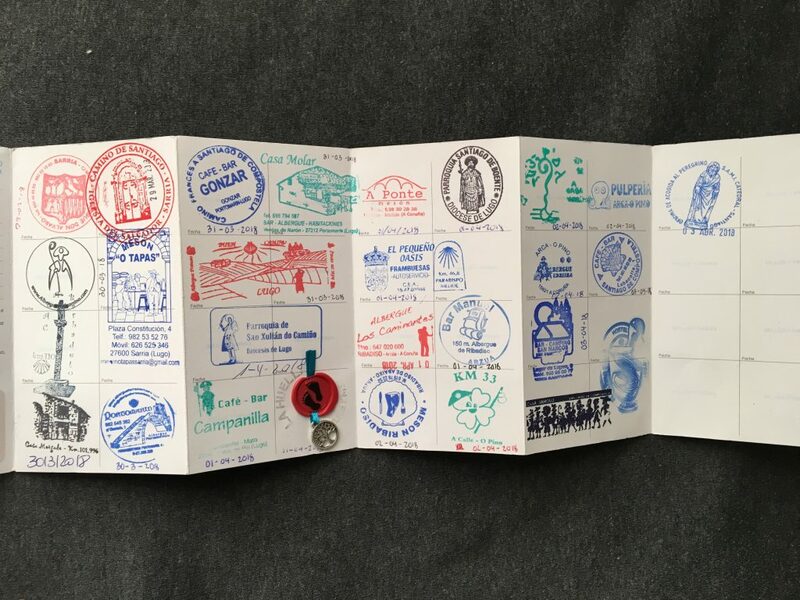 At our albergue and the churches we filled our pilgrim credentials with the first stamps from the Camino. We ate a hearty dinner of thick bread, caldo gallego (broth specific to Galicia), and tarta de Santiago (a delicious almond cake decorated with the cross of St. James). Full and content, we went back to the albergue where a warm fire was burning in the hearth. I met several other Spanish students who were starting in Sarria, and we attempted a song while one played the guitar – we found some common ground in the Red Hot Chili Peppers, and shared orujo, a liquor typical of northern Spain. Not too much, of course – tomorrow morning we’re walking 22km in the wind and rain, and we’ll need some good sleep. A full rainbow said hello after the first couple kilometers of our first day. Today was our first day of walking, from Sarria to Portomarín. 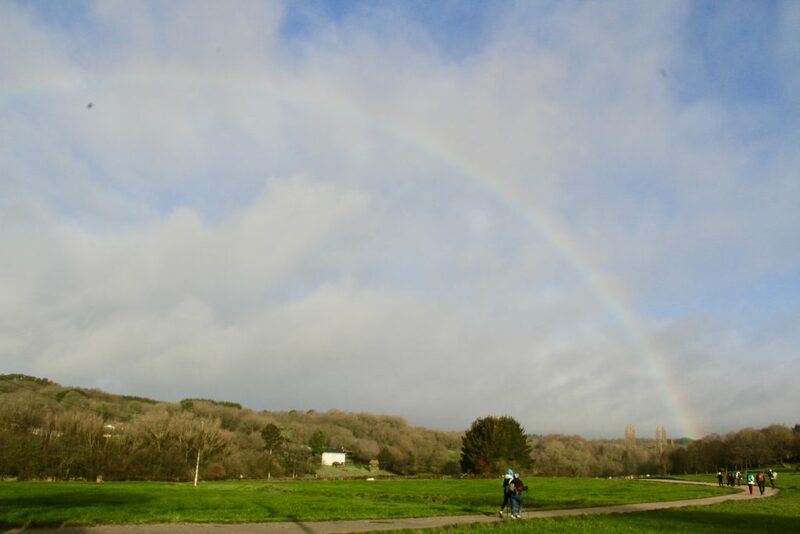 Our walk began with a rainbow (“arcoiris,” en español – that was a new word for me). 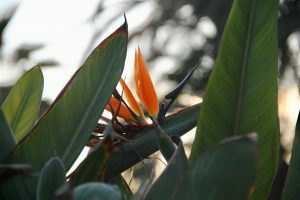 It was a beautiful, fresh morning. 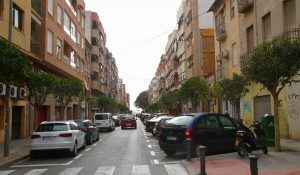 We ate our breakfast of hearty bread and café con leche and were on the road by 08:00. 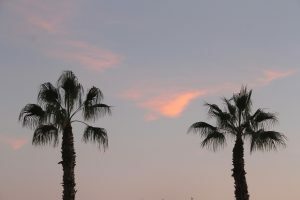 The morning sky faded from pink to blue as we walked past cemeteries, churches, houses, and stone walls, out of the city. The sun was out for the first hour or so, lighting up the buildings and trees in start contrast to the grey, massive storm on the horizon. As we walked through pastures, forests, and divided plots of land, the rain began to fall and I donned my poncho as the path transitioned from dirt to mud to river. 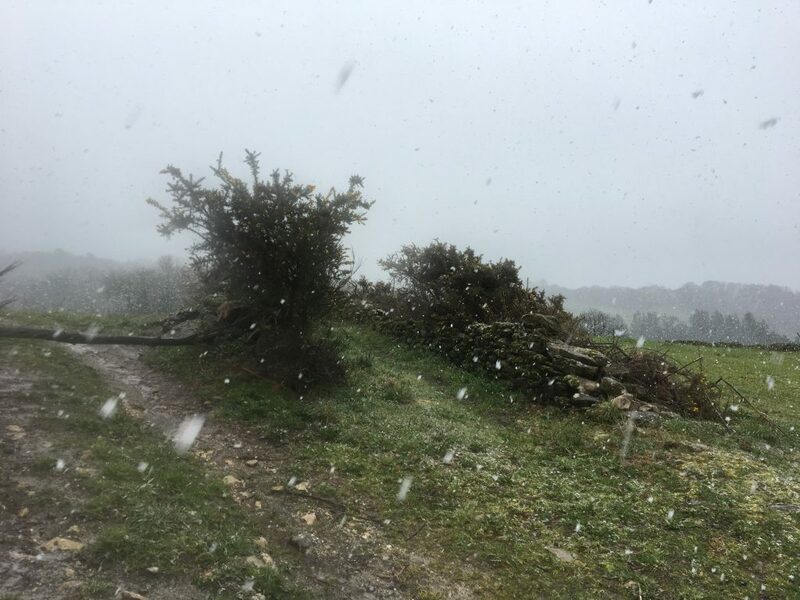 The first snowflakes started to fall at midday, and soon it was an impressive flurry. Galicia flew through all four seasons in one day, and the winter was a special surprise. At 8km I could feel my knees getting a little sore, my shoulders tightening from the weight of my pack. At 15km my boots were soaked through, and that’s about when I heard the first roll of thunder. Throughout the walk our group spread out periodically, each person walking at a slightly different pace. We tried to stick together during the snow and rain and river-path, boosting morale with conversation and lending a hand when we had to leap from one side of the path to the other, or hop from rock to rock to avoid the fast-running water. We arrived at the albergue in the afternoon absolutely drenched and freezing, and I can’t remember a time where I was more thankful for a hot shower. My whole body hurts, partly from regaining feeling from the cold, but also from walking farther than I have in a while. It made me think about why I’m walking – what drew me to this experience? After only a day, I have seen so much of the landscape that I otherwise would not have seen. I’ve missed the rain and the moss and the trees from home in the US. Although time was mostly spent walking in small groups of two or three, I also had moments of quiet reflection while the snow fell and the only sounds were my footsteps, the sloshing of boots and splashing of puddles. 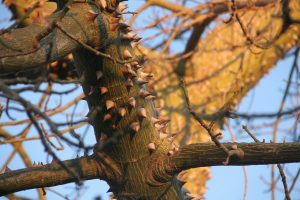 I woke up this morning with a sickness in full-force: fever, swollen lymph nodes, throat swollen and red, and I was a little freaked out. I had been sick for practically all fo March, but had started to feel recovered before our 120km walk. The snow probably hadn’t helped in my recovery process. The weather today was much nicer, but it was pretty tough to get out of bed with a fever, let alone walk 24 km. What’s the Camino without at least a little suffering? The view after a long hike up the hills leading out of Portomarín. Early morning fog nestled between rolling hills, and soft light illuminated the textures of the tree trunks and filtered through wet leaves. Snow from the previous day still lingered in pastures. A kind cheesemaker boosted our spirits along the way. 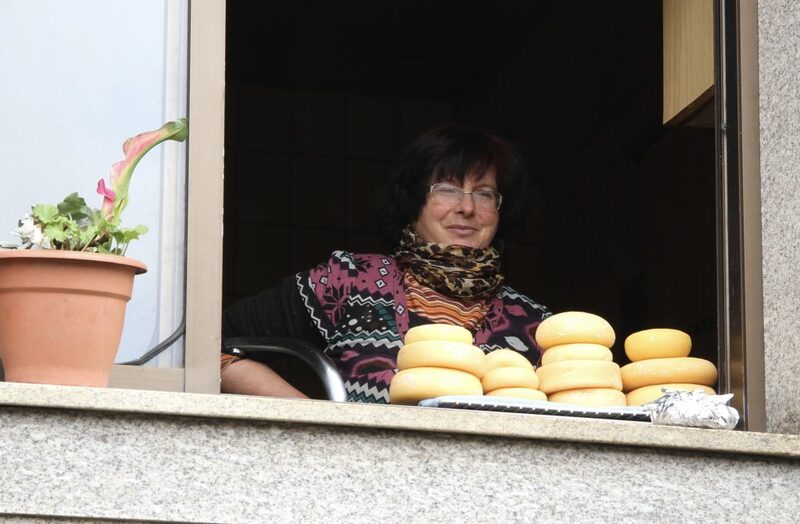 One of my favorite moments from the day was walking through a pueblo when a woman leaned out of the window where she was making fresh cheese and asked if we wanted to try some – it was lovely. Alfonso bought a wheel and we chatted for awhile before continuing on. 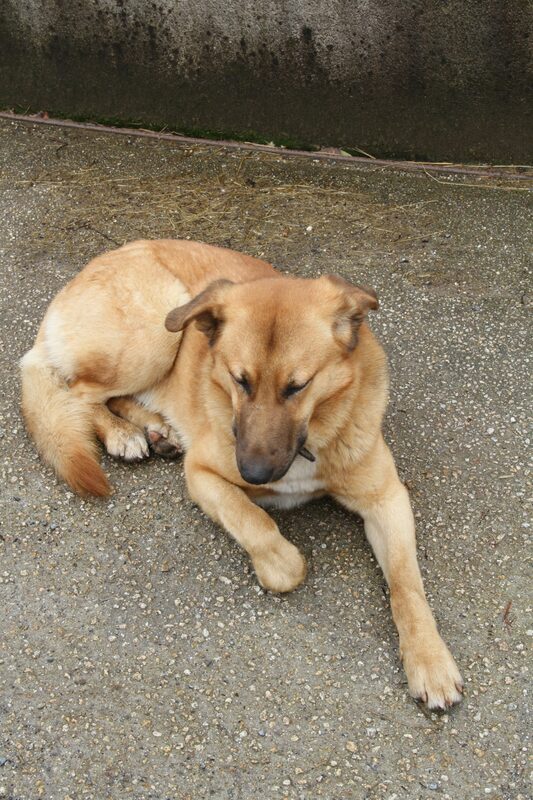 She also had a great dog – he was a real morale booster. This sweet pup tolerated our ear rubs and pets, a nice furry friend. 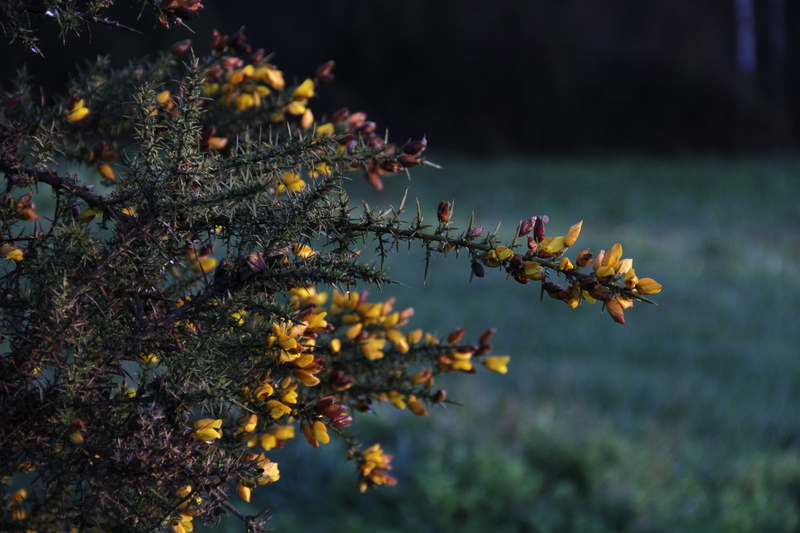 Soft morning light caught in the heather made for a magical start to our day. 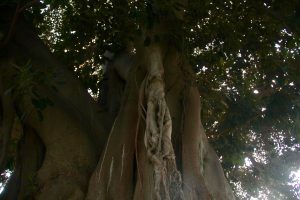 This entry was posted in Uncategorized on April 8, 2018 by nataliemutter. In about two hours I will board a plane headed for Santiago de Compostela to walk 120 kilometers of the Camino de Santiago with several members of our group from CIEE. 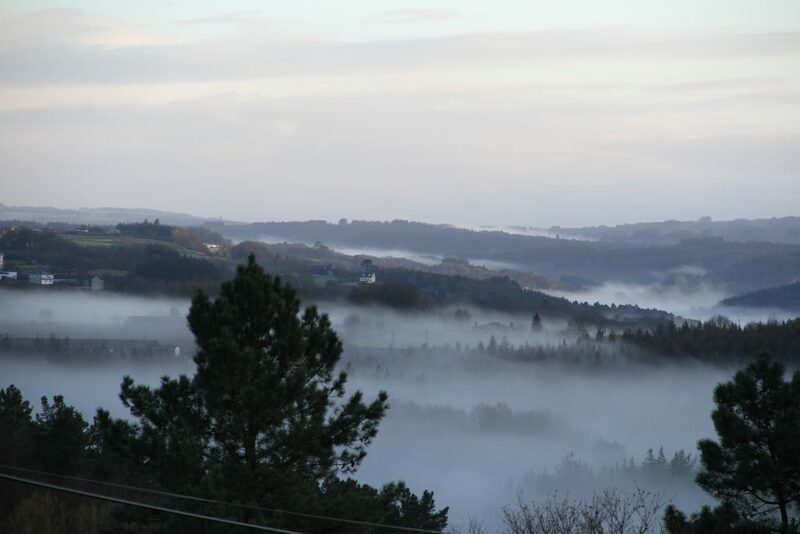 We will be completing the tail end of the French path, beginning in Sarria and walking for five days to reach the cathedral at Santiago de Compostela, stopping in small towns, sleeping in albergues (lodging for travelers on the pilgrimage), and sharing meals in northwestern Spain. Arrows point the way to the Camino from Alicante to Santiago de Compostela, with the basilica in the background. This experience is linked to one of the classes I have been taking this semester, which focuses on the history, Catholic tradition, and practice of the Camino, beginning with the discovery of Saint James’ tomb in the 9th century and continuing on to its present-day popularity. 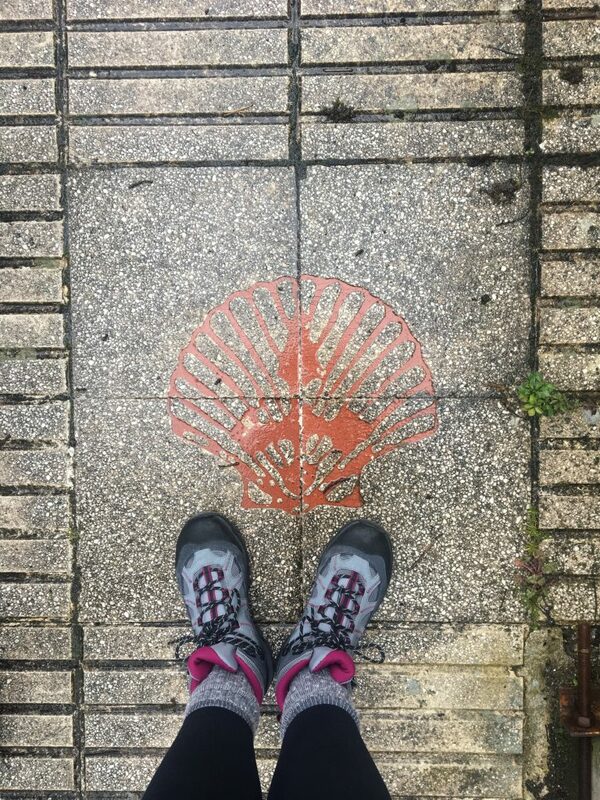 It has been fascinating to look at how the Camino has changed, from a penance and pilgrimage in the Catholic tradition to a multitude of reasons for embarking on the journey in the 21st century: religious reasons, hiking, reflection, the list goes on and on. One of the most important aspects of the Camino is being in community with other peregrinos (pilgrims). Along the walk we will encounter many other people, some of whom may have been walking for 30 days or more to reach the point at which we are starting. I’m sure I will come back next Wednesday with many stories to share. 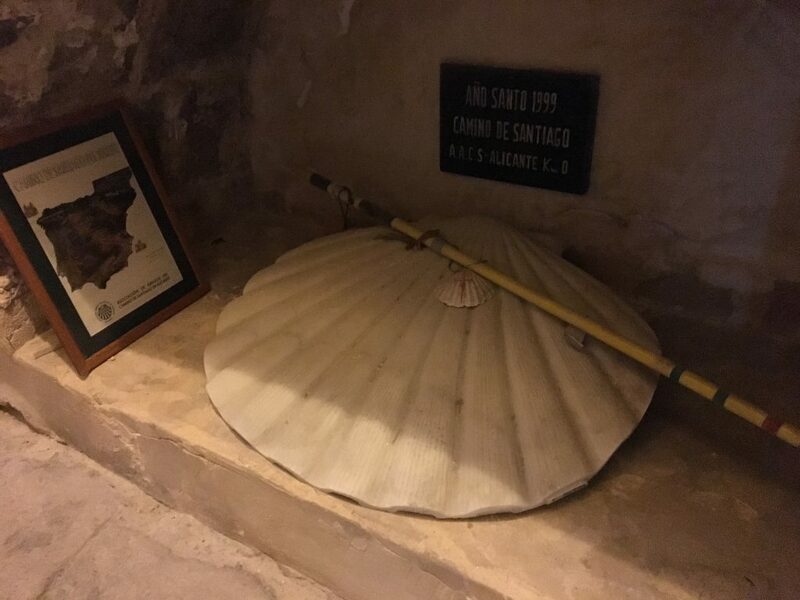 A walking stick and a seashell, two symbols of the Camino, reside in the basilica to greet peregrinos. Yesterday the group took a trip to the Basilica de Santa María, which is the oldest church in Alicante. 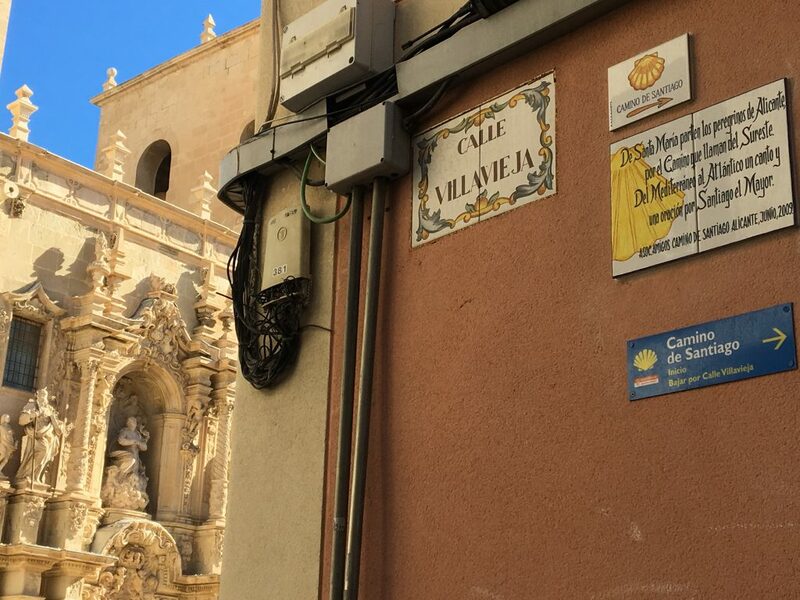 There is a camino that runs from Alicante all the way to Santiago de Compostela, and it starts at the doors of the basilica. There we received our first stamp on our pilgrimage credentials, marking where we are coming from. The first steps and the first stamps have already begun! 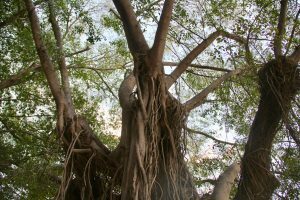 This entry was posted in Uncategorized on March 29, 2018 by nataliemutter. Hola from Spain! 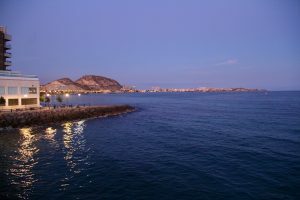 I almost can’t believe that I’ve already been living in Alicante for three weeks. The time passes so quickly as I absorb all the sights and smells and sounds of the city, noting the differences and similarities between my usual context and my new home in Spain. Through stepping outside of my usual context in the upper left corner of the USA, I have not only begun to learn about a different culture and people and place, but I have also begun to understand my own, to hold up a mirror and a magnifying glass at the same time. 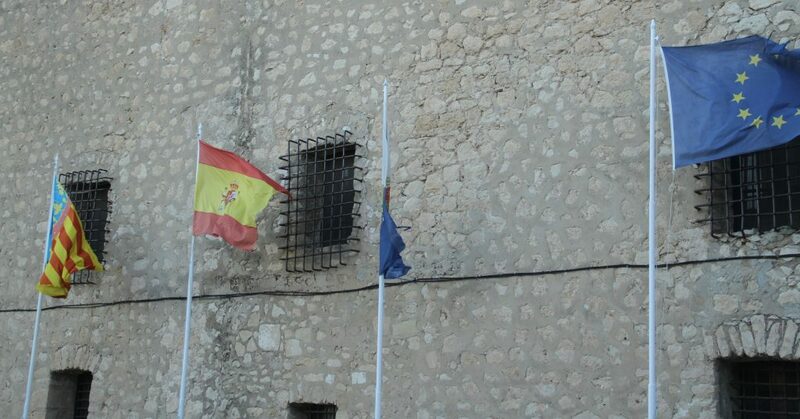 The flags posted on Castillo de Santa Barbara above the city of Alicante represent the community of Valencia, the country of Spain, the city of Alicante, and the European Union. 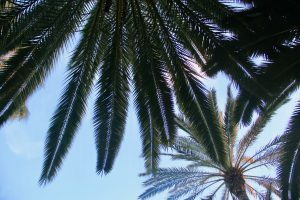 After a five-hour flight from Seattle to Philadelphia and another seven-hour flight from Philadelphia to Madrid, I slumped into a chair to wait for my final flight to Alicante. I felt a light tap on my shoe, and looked up from my Lonely Planet Spain guide book (which immediately tags me as a tourist, but it is also immensely helpful – I have no regrets) to see an electric blue race car that had rolled its way across the hallway to greet me. I met eyes with a mom and her two young kids and after receiving a nod of permission, I rolled the little vehicle back to its laughing owners. As we launched the little blue car back and forth with different sounds effects and laughter it felt like a perfect welcome into the country that will be my home for the next four months. 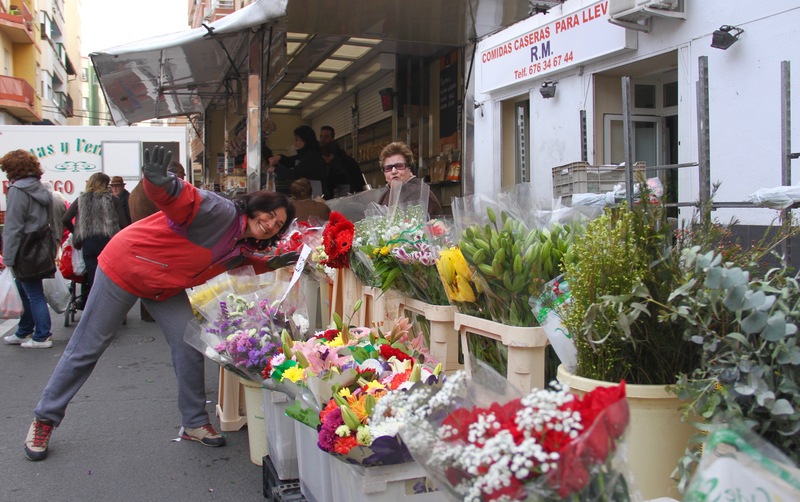 On Saturdays markets around the city are bustling with activity while people sell flowers, fresh produce from Murcia and Valencia, and leather goods. The CIEE students united in Alicante, most exhausted from several legs of travel, some missing luggage, and others missing altogether due to storms in New York, Stockholm, and Amsterdam. We boarded the bus to our orientation site, all bundles of nervous energy exchanging chatter: What’s your name? Where are you from? Where do you go to school? What’s your major? What classes are you taking here? 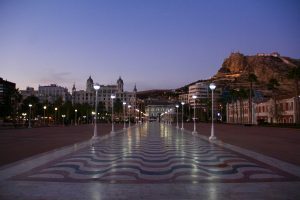 Why did you choose to come to Alicante? Of all the answers to the last question, the most popular answer seemed to be a desire for Spanish language acquisition. The second most popular may have been the beach, and the third was the food. 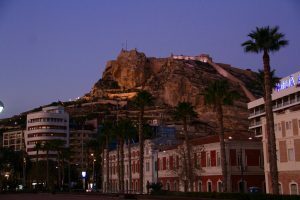 The land surrounding Alicante is dry and rocky, with small mountains riddled with caves and covered in low shrubbery. The bus ride from the airport to our orientation site showed me that I was most certainly not in Walla Walla or Burien, Washington anymore. 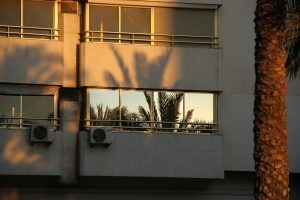 In the city of Alicante, palm trees line the streets and the branches of orange trees hang heavy with fruit. The land is dry and rocky, with hues of red and orange. Times like these I always wish I had taken a geology class. Being unfamiliar with the terrain adds another level of dissociation that had me wishing I had purchased a field guide to the region of Valencia. I’m sure this is only the first of many experiences of surprise at the unfamiliar and unknown. 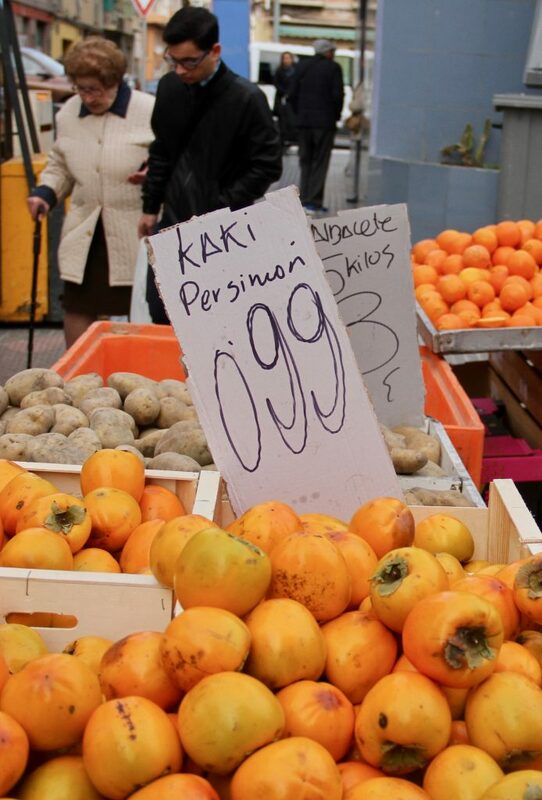 My host mama introduced me to persimmons my first day in Alicante. They have a subtly sweet flavor, almost like a combination between a melon and a pear. 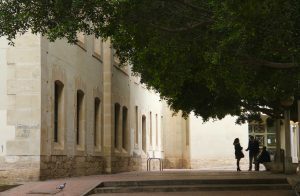 The liberal arts program in Alicante consists of several major facets: the classroom, regional excursions, cultural activities, and perhaps most importantly, the host family. After two days of orientation on academics, safety, and cultural sessions, we met our host families for the first time. 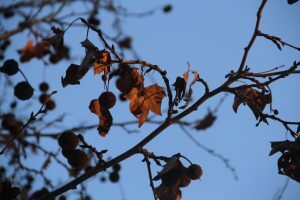 We were called one at a time from the classroom where we were waiting anxiously, hoping that we remembered the correct greetings, especially los besos. 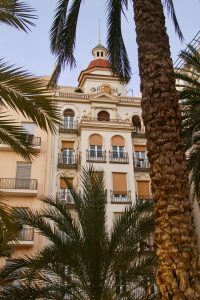 One of the first things to notice about Spanish culture in Alicante is the extroverted expression of affection for friends, family, and loved ones. In meeting my Spanish host mom, our first exchange were two kisses on the cheek: first to the left, and then to the right. It’s important to remember which side comes first. 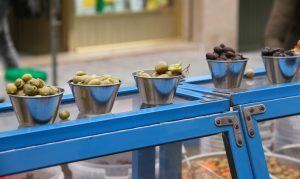 Before arriving in Spain, I hadn’t spoken conversational Spanish in almost 6 months – so I was pretty nervous to make a sudden switch to Speaking Spanish in my home, in the classroom, in the street, and with other students. Spanish of the Iberian Peninsula contains several accents, dialects, and languages: Andalusian, Castellano, Valenciano, and Catalan to name a few. By the third week I feel I can more confidently identify them when I hear them, but the first couple days were certainly overwhelming. My host mom, Maria, and I communicate solely in Spanish. These conversations over plentiful, delicious lunches have been the best methods for improving my language skills, learning new vocabulary for expressing my thoughts, asking questions, as well as building a relationship with my Spanish mama. 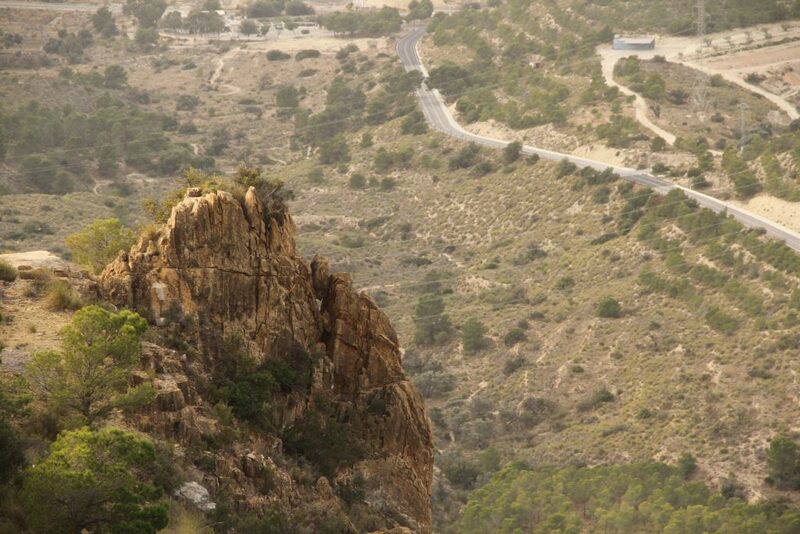 Climbing the Castillo de Santa Barbara gives a tremendous view of the city and sea below. We finished our 2-week language intensive cycle last week, which was a grammar wave of grammar consisting of 45 hours of class, a midterm, homework, and a final. Content courses for the liberal arts track begin this week, and will be conducted entirely in Spanish. In the first couple weeks, I have already noticed an increased ability and confidence in my language usage. The next four months will bring plenty of challenges and exciting new experiences. 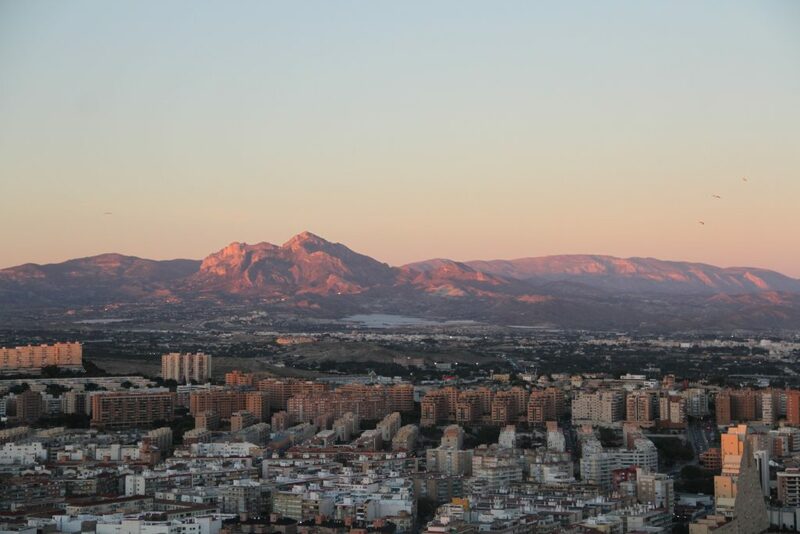 My next couple posts will cover the host family experience, Spanish food and social culture, and adventures to local sites around Alicante. 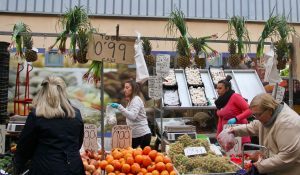 This entry was posted in Travel on January 30, 2018 by nataliemutter.